Windows 7 hit the ground running hard. It has sold more copies than Vista when you compare the first few weeks of sales for each operating system. 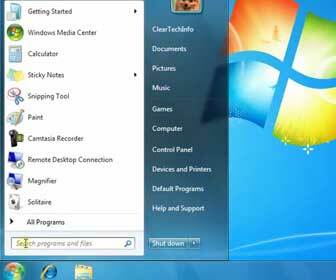 I have been using Windows 7 since June of 2009 (Microsoft released a free, beta version to the public earlier in the year). I purchased and installed the retail version of Windows 7 on the computer I use to create video tutorials for ClearTechInfo. [adblockingdetector id=”1″]Windows 7 is a refined Windows Vista, not much has changed. 7 is not as buggy as Vista and runs smoother. A friend of mine who recently visited my home saw my Windows 7 computer and said it looked exactly the same as Vista. It may not look exactly the same but it looks very similar. There are a few changes when going from Vista to Windows 7. My favorites so far being the addition of sticky notes as part of the OS (as compared to a separate program you have to buy), better gadget placement and better “Aero Peek” feature. The addition of the desktop sticky notes are shown in my video below. I will create separate tutorials for the gadgets and aero peek features in the near future. As far as operating system tutorials are concerned, I will stop creating Vista tutorials and start creating Windows 7 tutorials from here on (unless one is requested by a member of this site).